Two Chicks On Books: ETERNAL SACRIFICE by Stacey O'Neale Release Day Blast and $100 Gift Card Contest! 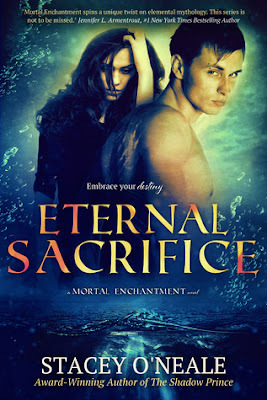 ETERNAL SACRIFICE by Stacey O'Neale Release Day Blast and $100 Gift Card Contest! The explosive conclusion to Stacey O'Neale's award-winning Mortal Enchantment series reveals the secrets of the fantasy world! Valac has stolen two of the sacred objects. In a bid to rule all four courts, he has threatened to use Excalibur to cut the mist that protects Avalon--ultimately ending the lives of thousands of elementals. As the Akasha, Kalin has the power to stop him. And she refuses to lose anyone else she loves. Will she have to sacrifice herself to save them? Desperate to save Kalin's life, Rowan searches for the long-lost creator of the mist. But what he finds is the very last thing he expected. Everything he thought he knew about his past is turned upside down, and he questions whether he's meant to be the savior or the elemental that destroys them all. Told from Kalin, Rowan, and Marcus's perspective, the final installment to the series follows their journey of courage, duty, sacrifice, and love. “I promise.” I said, wrapping my arms around her waist. I lowered my mouth and our lips brushed together. It started off soft, but it quickly escalated. All the worry over losing her morphed into uncontrollable need. I pulled her closer, curling my fingers around the belt loops of her jeans. For a minute, I was lost in the kiss. Lost in the sensation of her. I loved her. More than anything. More than myself. If we didn’t succeed, I’d lose her. As the only akasha in over a hundred years, she was the one elemental who had the power to stop Valac once the mist was punctured. Her blood sealed the hole. All of her blood. Her life. The ultimate sacrifice. No, I wouldn’t let that happen. I abruptly released her from my hold, and she gasped in surprise. Her career in publishing started as a blogger-turned-publicist for two successful small publishers. 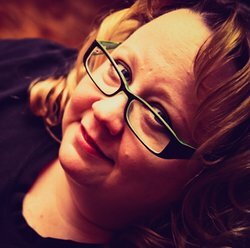 Stacey writes young adult fantasy and adult science fiction romance. Her books always include swoon-worthy heroes, snarky heroines, and lots of kissing. Stacey loves hearing from readers. Follow her on Twitter @StaceyONeale, look for her on Facebook, Instagram, Pinterest, Tumblr, and Goodreads. You can also visit her blog at staceyoneale.com/. Really I like this review on ETERNAL SACRIFICE by Stacey O'Neale Release Day Blast and $100 Gift Card Contest. I am feeling great to post this remark here, this is such a pleasant minute and I need to visit this site once more. Some times students are very tensed about how to write my paper for cheap about the book or story reviews. I hope this share is very helpful for them to solve their tension about .